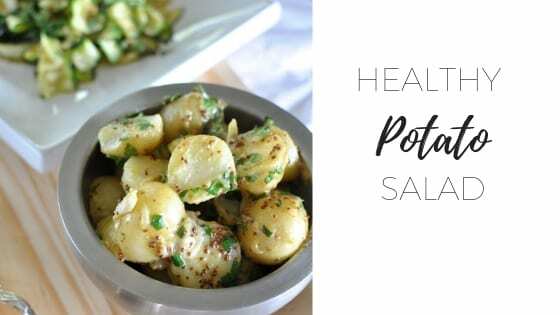 I guarantee you’ll love my healthy potato salad recipe. You won’t even notice that the mayo and cream are missing. 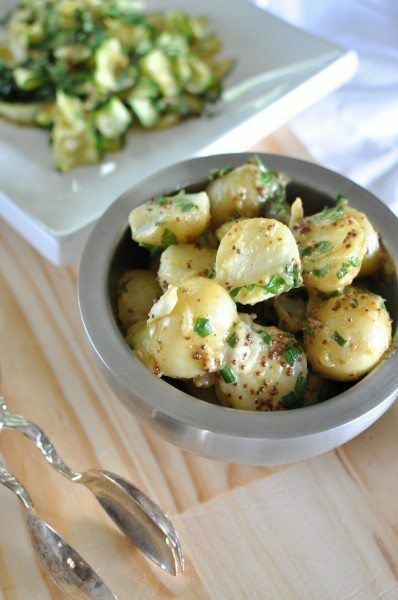 This healthy potato salad recipe is a paranoid pregnant ladies dream. When I was pregnant I remember the whole food thing being a bit hard as you can expect for a big eater like me. 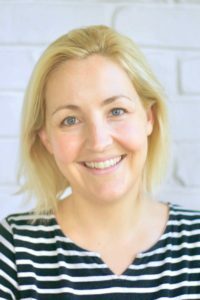 My doctor was very relaxed about the whole thing and used to tell me I can eat whatever I want but I was one of those paranoid pregnant ladies (at least the first time around – the second I was much more relaxed about the whole thing). To me I’d just rather steer clear of foods I’ve heard bad things about just in case. One of those is mayo as it’s pretty much raw egg which was on my no-no list. That means no good old potato salad. You can imagine I was pretty excited when I came across this recipe that promised a potato salad just as tasty as the original creamy version but without the mayo. 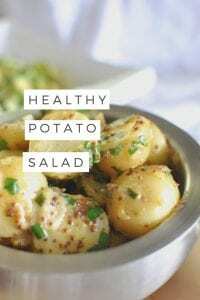 It’s actually a healthy potato salad and if you swap the honey for maple syrup or something similar, it’s even a vegan potato salad. You might also like to try Vegan Sweet Potato bake by The Natural Foodie. They didn’t lie in the description either. It’s full of flavour and somehow, it tastes creamy despite it’s lack of anything even remotely creamy. I guess maybe the mustard helps? It’s great for summer barbecues but I also served it warmed up as a side for our Christmas ham one year too and it was delicious. It can be made in advance (I think I kept ours for about 3 days in the fridge) so it’s perfect for entertaining. Plus, cooked and cooled potato actually can help with gut health. When cooked potato cools it forms resistant starch which forms a pre-biotic. What’s that? It’s a food that feeds the good bacteria in our gut to help our immune system. I am adding it to my salad repertoire as it meets the requirements – not too much lettuce! What about you? 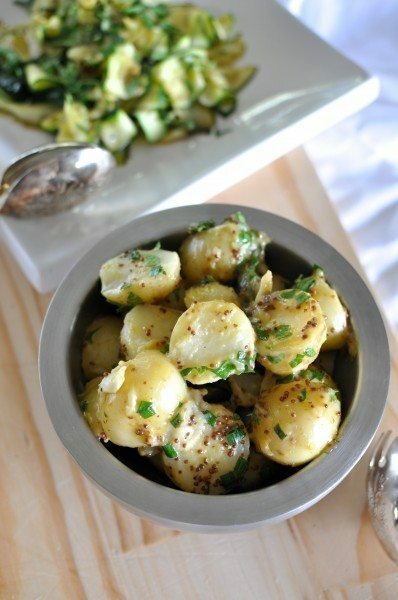 Do you love potato salad? What’s your favourite BBQ side dish? Place the potatoes in a large saucepan and completely cover them with cold (from the tap) water. Pop the lid on and bring the pot to a boil then cook for 12-15 minutes or until tender. Drain then and set aside for 15 minutes to cool. To make the dressing, whisk all the ingredients together and then season with salt and pepper. 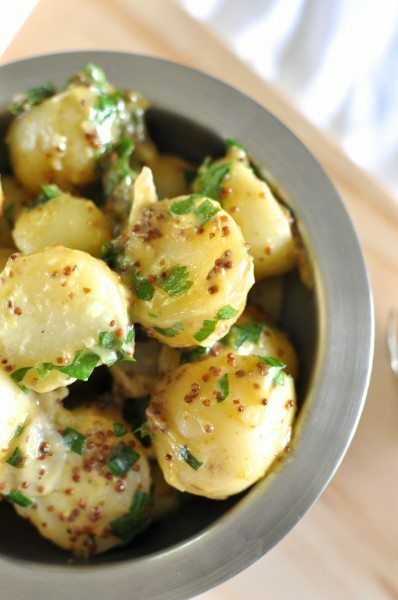 Cut the potatoes in half and place them in a bowl then pour over the dressing and add the chopped herbs and lemon zest. 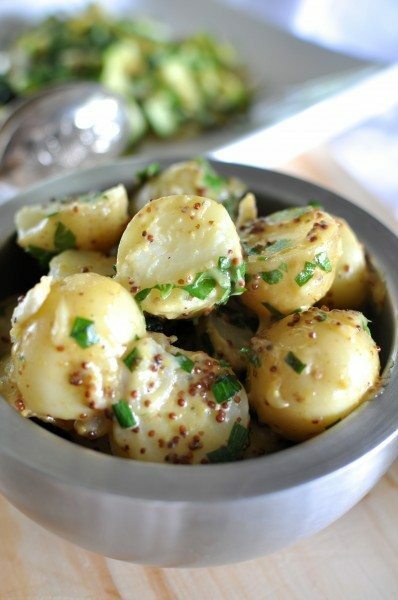 Season with salt and pepper and toss well so all the potatoes are coated. Serve on a platter and watch it disappear. 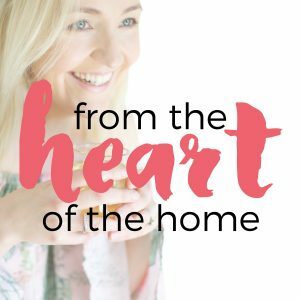 This is a really lovely recipe and so much lighter and fresher than the traditional version I am used to. Thank you for sharing the recipe. You’re welcome Michelle, glad you enjoyed. Its always handy to have a healthy option for this delicious salad. Sounds delicious!! How far in advance can I make it and have it still taste fresh? Hi Paula. I would probably only make it on the day but having said that I had leftovers the next day. I love potato salad, but unlike you have not stuck to the ‘what a pregnant lady shouldn’t eat’ list, and have eaten whole egg mayo the whole time. This one does look delicious though! I think this one rivals the mayo one anyway Clare! Sounds delicious, will definitely be giving it a go. By the way, my dad makes mayo out of sweetened condensed milk and vinegar. Probably not too good on the waist line but no raw egg. I’ve never heard of that Hilary sounds very interesting! I grew up on condensed milk and vinegar (or lemon juice) ‘mayo’. I had never tried the store-bought stuff and didn’t like it when I did, but I really ate a bit of lettuce under my mayo as it was so yummy. 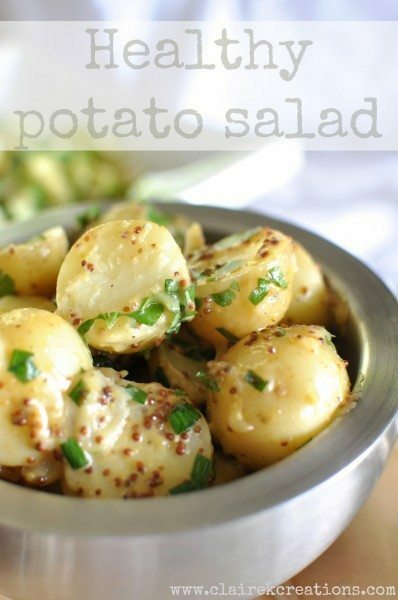 This is exactly my fave type of potato salad with wholegrain mustard instead of mayo, love this version too, with the addition of honey! Perfect with the ham as you say. It went so well with ham Danielle. Now I want Christmas ham! I’ve never been a fan of mayo in potato salad to be honest, I find it too rich, but this one sounds fabulous! I have to agree with you there. It’s very heavy. I’m sure they’ll like this one then! Oh Celia I am trying! Shall we set a goal of the end of the year? Yummy Claire, there’s something wonderful about potato salad and I love that you’ve come up with a healthy one. It looks wonderful! Oh, and I had the same “feet” problem when I was pregnant. I would come home from work with my ankles hanging over my shoes, such a yucky feeling! Haha yes that describes it. I never knew you could get fat rolls on your feet! I didn’t realise that you didn’t like lettuce! I have a terrible lettuce habit-my crisper doesn’t fit in all the lettuce that I buy. This recipe sounds great though and using the mustards is a good idea! Nope not long now! It’s perfect picnic food isn’t it? Not too messy like regular salad. I love potatoe salad. this is actually my most favorite way of dressing it, much better than mayo. I wish I’d discovered it earlier! Yum. You had me at potato! Claire, couldn’t agree with you more about this potato salad. 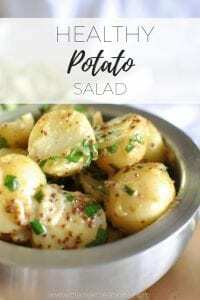 I found this recipe last year and much prefer it to one with mayo and it’s now my preferred potato salad.